With the ink dried on the latest set of Arizona Department of Education letter grades, Grand Canyon Unified School District is celebrating a jump in grades. Grand Canyon High School climbed from a C to an A, while, Grand Canyon Elementary maintained its B grade. Among local northern Arizona schools, they’re sitting at the top of the class. 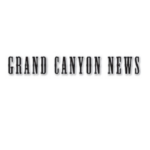 After a months-long process of gathering information, processing it and turning it into usable action items, the Grand Canyon Unified School District is moving forward with its three-year strategic plan to improve the students’ education and experience. As part of the plan, the district crafted a new mission and vision statement to reflect its goals moving forward. 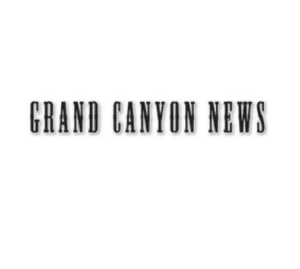 Thomas O’Connor, a consultant hired by the district to lead it through the process, said careful thought was put into word choice to best reflect parents’, educators’ and the administrations goals for Grand Canyon students. As school budgets struggle to meet with the demands of educating more students with less funding, community organizations often step up to help fill in the gaps for items like updated computers, desks and other basic necessities that sometimes get overlooked. GRAND CANYON, Ariz. — The Arizona Department of Education released its school report cards Oct. 9, assigning letter grades on AzMERIT test scores. The answer, it turns out, is complicated. Jennifer Allen, Kevin Hartigan and Pete Shearer were all officially sworn in as members of the Grand Canyon Unified School District governing board following successful re-election last November. Tusayan mayor Craig Sanderson presided over the ceremony. Board members SuZan Pearce and Brian Donehoo retained their seats and were not up for re-election. Great things are happening at the Canyon. I am proud to say I am superintendent of the Grand Canyon Unified School District. June 30, 2016 marks the end of two years as superintendent. I wake up every morning saying a thank-you prayer – thanks for having such a wonderful staff by my side, thanks for the opportunity to be part of the Canyon community, and thanks for being able to live in the greatest national park in the world. Of course, our school, like so many others, has its challenges, but every day we come to work excited about being part of the family that works so hard to support the children of the Grand Canyon. Over 350 canned and other non-perishable food items were collected by Grand Canyon School (GCS) students and donated to the Grand Canyon Community Food Bank Dec. 2. The food drive was part of a service project put on by third, fourth and fifth grade student council members.